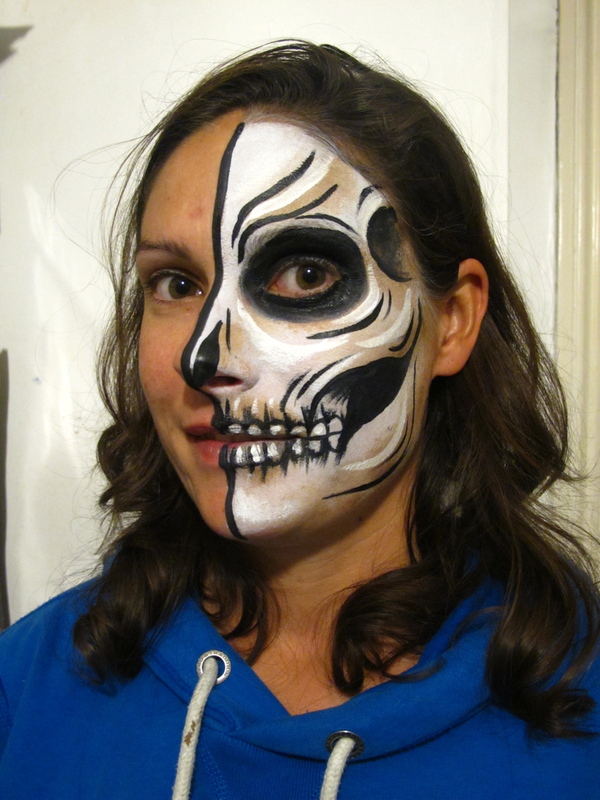 Alana Dunlevy is a Bristol based face and body painter. 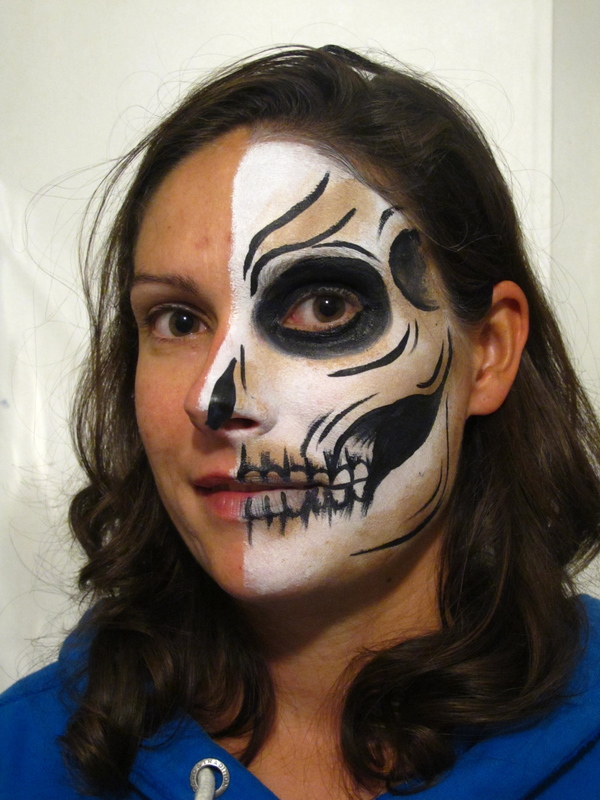 Here, she guides you through creepy Halloween skull face painting. 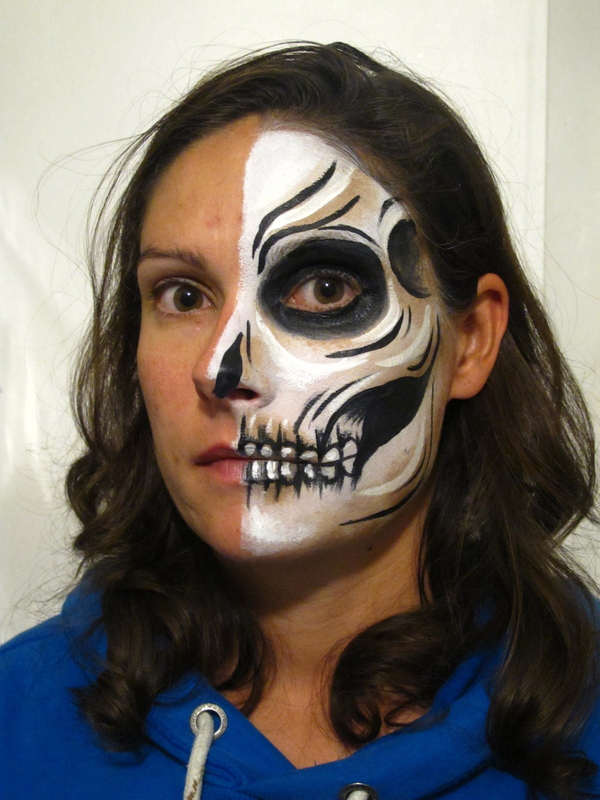 A half skull face leaves you the other half to stay beautiful, the contrast can be very striking. Or just apply to the opposite side of the face too for a full skull. Load up sponge and apply to half face, leaving eye socket. 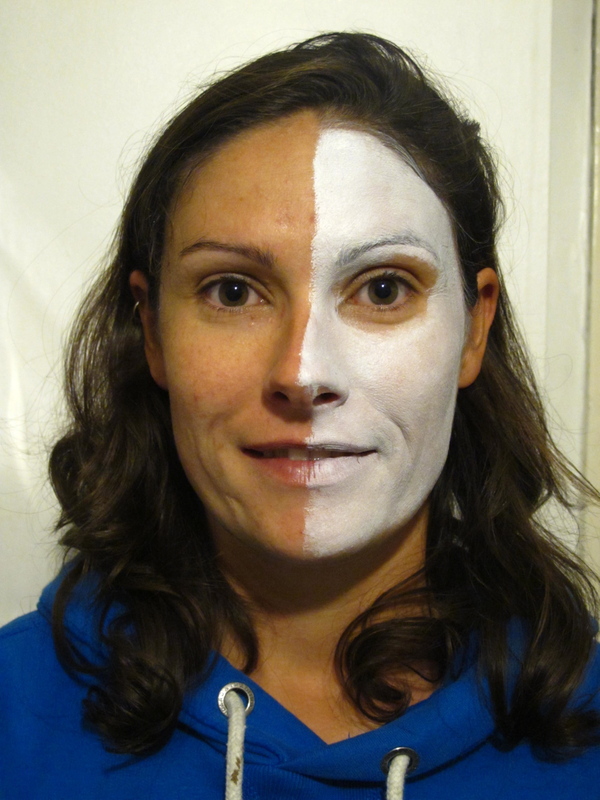 Following bone structure of face, blend brown in to the white in areas of depth, ie under cheekbones, temples, eye sockets. With a black paint brush, draw on eye and cheek hollow and teeth. Then add detail to teeth, cheeks and eyes/temples. 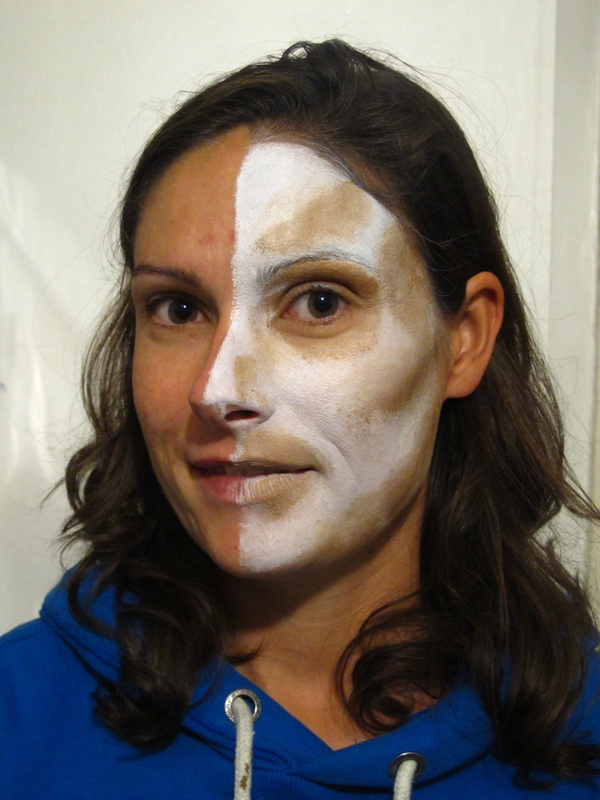 With white on the brush, add high lights to the cheek bones, forehead, teeth and chin. To finish off add a black line down middle of face and along the chin. And you’re all ready to lurch out of the shadows at some poor, unsuspecting member of the public. You can find Alana on her website here or see her artistry live and in action at the Hoochie Coochie Halloween Ball, October 27. 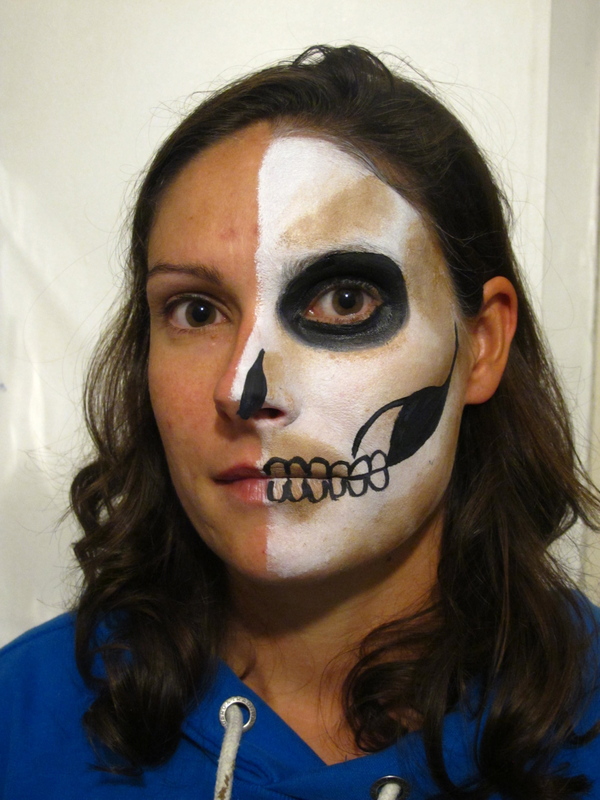 Be sure to check out Alana’s Sugar Skull Face Paint Tutorial too! 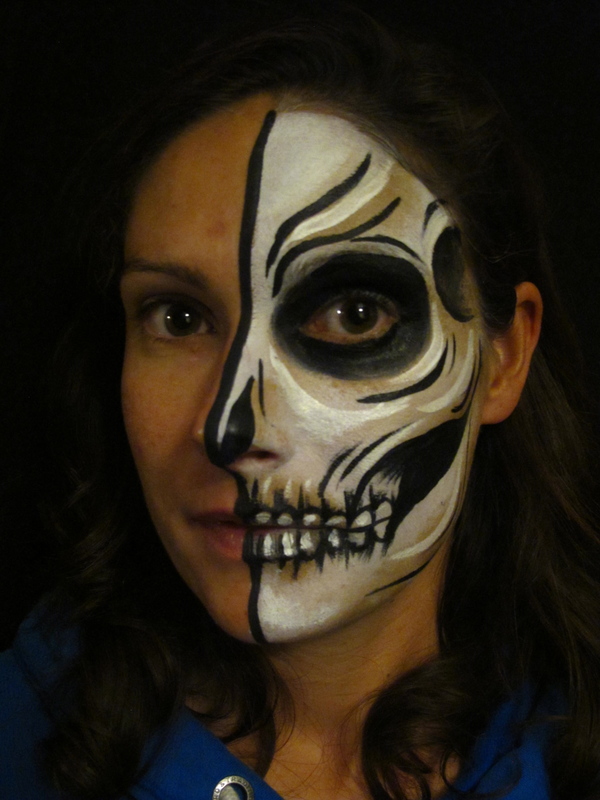 This entry was posted on October 16, 2012 by coochiecrunch in Coochie Crunch Blog and tagged Alana Dunlevy, Facepaint, Halloween, Skull.